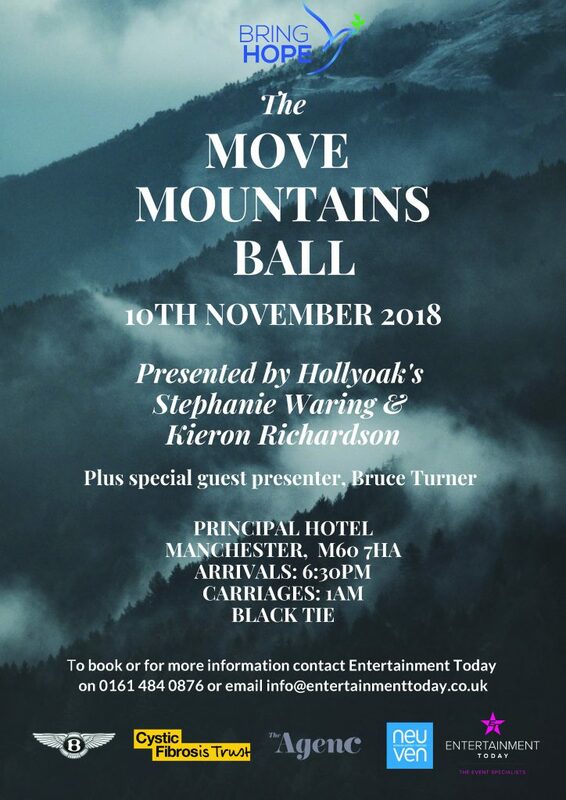 On the 10th of November, we will be putting on The Move Mountains Ball; dedicated to celebrating the work of the Bring Hope Humanitarian Foundation and The Cystic Fibrosis Trust, whilst raising vital funds for both charities. The Bring Hope Foundation have provided humanitarian aid since 1999. Their objective is to to deliver help to the most vulnerable groups, preserving human dignity and the value of lives of the victims, and setting out a longer term vision to meet the changing needs of society. 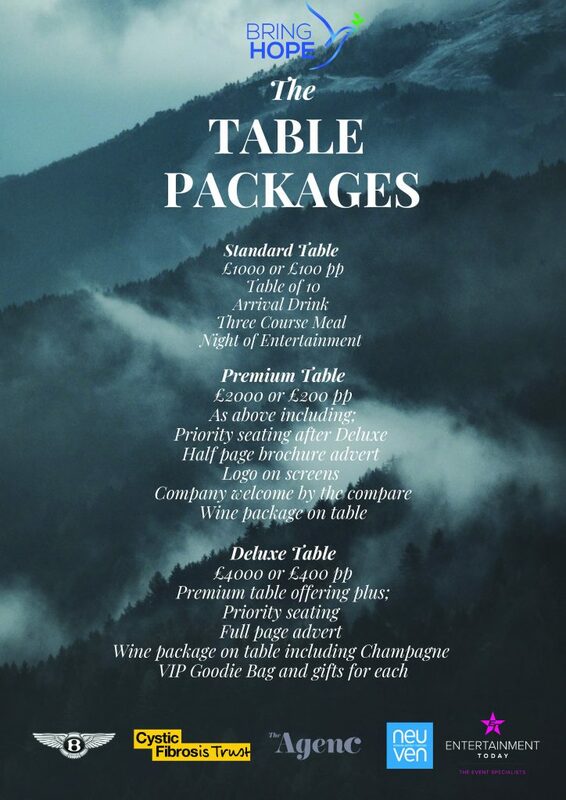 We’re also thrilled to announce that Hollyoaks’ very own Stephanie Waring and Ross Adams will be comparing on evening and there will be a very exciting headline act.